A motorist's slashed tire in Jacksonville Beach is pictured. 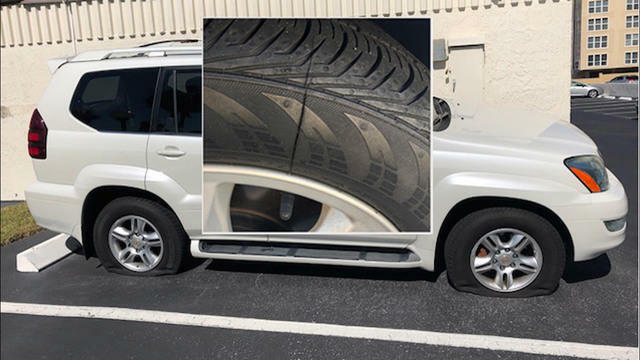 A serial tire slasher has Jacksonville Beach residents frustrated after dozens of drivers were left with flat tires over the weekend, only a block from the beach. Police are looking for the person or people responsible for the vandalism, which was reported along First Street from 8th to 25th avenue south. Lentes’ neighbor’s SUV had two tires slashed with a visible gash, and News4Jax found other vehicles targeted in front of condos, homes and at public beach accesses. Many are luxury cars, like Mercedes, Porsche and Lexus. “I don’t know why anybody would go around doing that. They don’t have anything better to do?” Lentes said. Jacksonville Beach police said they’re aware of six reports from the weekend, but local tire shop workers said they’ve heard from dozens of people needing new tires because of the vandal. “It does not take a whole lot to puncture a tire. A knife, a regular pocket knife can puncture a sidewall on a tire,” DeSalvo Tire Outlet store manager Kevin Enlow said. He said it’s not cheap to replace tires, which can cost hundreds of dollars, and gashes like the ones being left in Jacksonville Beach can't be repaired. Whoever is responsible is slashing two tires on each vehicle, so the driver’s can’t just put a spare on, they have to get it towed. “I'm hoping it doesn’t hit me, and they have moved on or stopped,” Lentes said. Anyone with information about the tire slashing cases is asked to call Jacksonville Beach police at 904-270-1667. 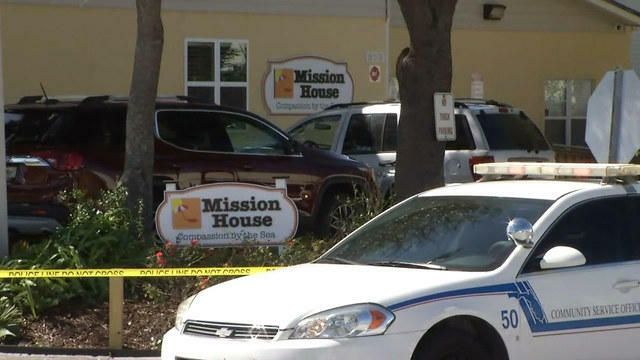 Two men suffered serious injuries Friday morning in a shooting outside a Jacksonville Beach homeless center, police said.